This post will go over some of my thoughts that have been on my mind over the Christmas holiday. In true minimalist style, I have not purchased a Christmas tree nor have I purchased any gifts for anyone, and I will not be attending any Christmas parties. I have caught up with some friends and family over the holiday period but little else. Although it is cliche to say this, Christmas is highly commercialised these days, and personally I don’t celebrate Christmas too heavily, but many other people do, and I think my lack of engagement in Christmas activities puts a distance between me and others. Ultimately the main issue is that often the cost of human connection and intimacy is conformity, but conformity is often costly. As I have discussed, an idea that has been on my mind recently is the cost of socialising. Many of us like to think that we are independent, that we do what we want regardless of what others think, but going against the grain and being very different is harder than you may think. It is natural and normal to conform. In fact, I would argue that we are hard-wired to conform. It is something that we evolved to do. There is a famous psychology experiment (the Asch conformity experiments) that shows just how powerful conformity is and how susceptible we all are. Even though I like to think of myself as independent, I do conform to a degree, and conformity is sometimes important because it allows you to fit in to a certain culture with which others are familiar. Taking the example of Christmas, if you do not give gifts or engage in any Christmas activities, this will clearly put a barrier between you and others. There have been moments in my life when I have been too independent, too much of a freethinker, and this has isolated me from society, which leads to misanthropic feelings, and this can have very negative mental health outcomes and can lead to depression. It is important to find the right balance between independence and conformity. As a man who enjoys independence and freedom as well as systematically minimising all forms of obligations (debt, social norms, customs, tradition, etc) this has been one of the realisations I have come to this year, that there is some value in conforming, but it needs to be controlled and I need to practice conformity in a way that still allows me to be myself and to be authentic. Most importantly, conformity needs to be practiced from a position of independence and freedom. This reminds me of the concept of exit, voice and loyalty. You can be loyal i.e. you can conform to something or someone’s values, but you need to have the freedom to be able to voice your own views or values, and if your values or views conflict too much with those with whom you are loyal, then you need the ability to exit. This is where having huge passive income and minimal obligations helps. For example, if you have a huge mortgage and three children to support, and you work a job you hate, you are trapped in this job. You are forced to conform or be loyal in this arrangement without the freedom to voice or exit. However, if you suddenly hate your job but you live off passive income, have no debt, no children, no mortgage, and no obligation or commitments, then there is nothing stopping you from voicing your displeasure or exiting entirely. Although I do believe there is some value in conformity, I should say that everyone is different and that I do believe there are many who value nonconformity. We are typically more comfortable when we are in environments that are familiar, that fit in with our own culture. When someone is noncomformist, e.g. to take an extreme example, if someone comes to work wearing clothes that are inappropriate (e.g. wearing underwear), then this creates discomfort. Something just doesn’t seem right. However, conformity can go too far. Too much conformity creates a fakeness that many find unappealing. Although familiarity can put people at ease and build human connection, you can go too far to the point where you are fake and this also creates unease. There is value therefore in conforming in moderation but it is also important to have the courage to be yourself, to reveal your true thoughts, and to be authentic. Usually the ability to be your true self and to be authentic comes when you are financially secure and when you have few obligations. I should also add that conformity is not just about whether you give gifts or wear certain clothes to work. Most of us conform but aren’t really aware that we conform simply because we feel that what we do is what we are supposed to do. For example, most people drive cars, get married and have children without even thinking about it because this is seen as normal. If you’re a cycling, if you’re single, and if you’re childfree, this is seen as unusual, but I think society nowadays tolerates individual freedom, so even if you are a single childfree cyclist, you will be considered different but you will not necessarily be socially ostricised. In my opinion, it is very important to be aware of how much culture affects you because when individuals conform to most cultures, they usually impose upon themselves large obligations. Among most cultures there is an expectation that a person’s youth is a period of freedom. However, the expectation is that once someone has enjoyed his or her youthful freedom, they need to become adults, they need to accept adult responsibilities, and they need to “settle down.” I argue that you don’t need to ever settle down, that you don’t need to accept large obligations. You can be free forever. I will change topics now and talk about the markets. The markets have done very poorly over the last few months. In my opinion, we have gone through an eight-year-old bull market without a major correction, which is the longest in history, so we are due for a crash soon. This recent turmoil in stocks may be the start of the next financial crisis but there are many credible institutions (e.g. JP Morgan) predicting the next financial crisis will occur in 2020. Donald Trump’s policies do not help, especially the tariffs between the US and China. Importers will need to pay the tariff and pass it on to customers, which creates inflation as the cost of living rises. Furthermore, corporate tax cuts and higher government spending increases money supply in the economy. All these factors increase inflation, which necessitates the central bank increasing interest rates. Higher interest rates means corporate profits fall as companies need to pay higher interest to service their debt. Furthermore, tariffs don’t just mean importing products into America become more expensive. Once tariffs are applied to Chinese goods coming into America, the Chinese will apply retailiatory tariffs, which block American exports going to China, which in turn hurt sales. Because Chinese companies cannot export to the US as much, this impacts on Australia as we export a significant amount of raw material to Chinese companies who then transform these raw materials into consumer goods to be exported to the US. History has shown that protectionism benefits no one. Both parties lose out. In my opinion, throughout a market collapse it is important to stick with your investment plan rather than sell in a panic. In an earlier post I spoke about “age in bonds” or owning your age in government bonds e.g. if you are 30, own 30% bonds. This rule is a guide and can be modified to fit your risk appetite e.g. if you can tolerate more risk then consider putting 50% of your age in bonds (e.g. if you are 30, you own 15% bonds). The problem most people have is they cannot predict their risk appetite. When markets are going up, they think they can tolerate high levels of risk, but once markets actually collapse and they are confronted with large and sudden declines in wealth, they realise that they cannot stomach volatility, and they panic sell and crystallise their losses. Therefore, in my opinion, if the recent bull market has lulled you into complacency and now you are feeling nervous, it is a good idea to reflect on what your true risk appetite is, and in the future you can buy more (or less) defensive safe-haven assets (such as bonds, gold or cash) in order to align the asset allocation in your investment portfolio to your actual risk appetite. Over time, as you live through more market crashes, you start to get a feel for what your actual risk appetite is. It is not something that is easy to predict. It is something you need to adjust as you experience it in real life. One of the biggest mistakes in financial planning is when the financial planner hands you a form and you fill how much risk you are willing to take. In my opinion, no one really knows how much volatility they are able to withstand until they actually expereince it in person. Until someone feels $100k of their wealth being wiped out in one day can they truly appreciate how much volatility they can stomach. It is also important to keep in mind why you are investing. For me, investing in stocks is mostly about generating dividends, passive income, and thereby providing freedom. Therefore capital gains do not matter much because my intention is to hold these stocks or ETFs forever. The recent market correction therefore can be seen as an opportunity to load up on more high-dividend ETFs. For example, with the market collapse, the iShares S&P/ASX Dividend Opportunities ETF (ASX: IHD) currently has a dividend yield of 13% according to Bloomberg. Of course, even if you are a dividend investor, there are benefits in diversifying into bond or hybrid ETFs. Although high-dividend ETFs such as IHD currently have a yield of 13% whereas government bond ETFs such as BOND have yield of 2.3% and HBRD, a bank hybrid ETF, has yield of 3.7% it is important to remember that although dividend yields are higher than bond yields, dividends can be cut. If the market correction we are currently experiencing gets really bad, I will not be surprised if companies start announcing dividend cuts. It happened after the GFC, and it can happen again. This is where bonds can be useful because bonds are more likely to be paid to investors. If a company faces distress, bondholders by law are paid before stockholders. Bonds or hybrids then can be useful for income investors seeking passive income because they provide not only stability in price but also stability in income. Even though yields are lower for bonds or hybrids, this reflects the lower risk, the fact that these payments are less likely to be cut in the event of economic distress. Disclosure: I own IHD and HBRD. This is a common dilemma. You are saying up money and want to know if it is better to buy a house and live in it or invest in ETFs and rent (also known as rentvesting). Personally I would invest in ETFs. The reason why is because the key difference between the two options is you pay far higher taxes when you buy a house. For example, if you buy a house then you’re need to pay stamp duty. On a $1 million house that is roughly $57k in stamp duty, which will reduce your net worth. Assuming you save up a $200k deposit, then right after you buy your house your net worth will be $143k whereas if you simply keep your money in ETFs you’d still be at 200k. However, an argument can be made that if you buy a house, because you have borrowed money to buy $1m worth of asset then you have leveraged exposure, which moves you up the risk-reward curve (also known as the efficient frontier). If you save $200k and invest it in ETFs, if there is a 10% increase, you have made $20k. However, if you have purchased a $1m house and it goes up 10% then you have made $200k. However, what is misleading about this comparison is that it compares apples with oranges, that is, it is comparing leveraged real estate vs unleveraged ETFs. To compare apples with apples, you need to compare leveraged real estate vs leveraged ETFs. Leverage does not increase returns without any consequences. Leverage increases risk, which may result in higher returns. You can move up the risk-reward curve with ETFs simply by reallocating a portion of your ETFs into internally leveraged ETFs e.g. GEAR or GGUS. Another option is to invest in higher risk niche ETFs (e.g. 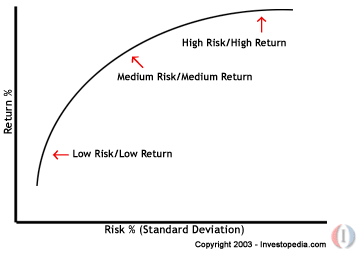 ROBO or TECH) to move up the risk-reward curve. The benefit of buying higher risk ETFs is that there are no mandatory monthly mortgage payments or, if you take out a margin loan, margin calls. The effect of leverage is handled by the fund itself and there is no obligation for you to pay anything. Another advantage of investing shares or ETFs is that Australian shares often pay dividends with attached franking credits (e.g FDIV pays 100% franked dividends), which lowers you tax burden even further. Even though living in a home does not make you eligible for negative gearing, you are eligible for capital gains tax exemption. However, capital gains tax is easy to avoid if you buy a hold shares or ETFs. Because capital gains tax is triggered with you sell and because capital gains tax is charged at your marginal tax rate, simply buy and hold and wait until you are retired. When you are retired, you will earn no salary, so your income will drop and your salary will likely face lower income tax, perhaps even being within the tax free threshold. You then sell off shares or ETFs bit by bit when you’re retired, ensuring that you pay little or no CGT. Now that we have established that ETFs have lower borrwing costs than real estate due to the impact of negative gearing, stamp duty avoidance, and franking credits, a huge argument for investing in ETFs rather than real estate is the huge difference between rental yields and dividend yields. 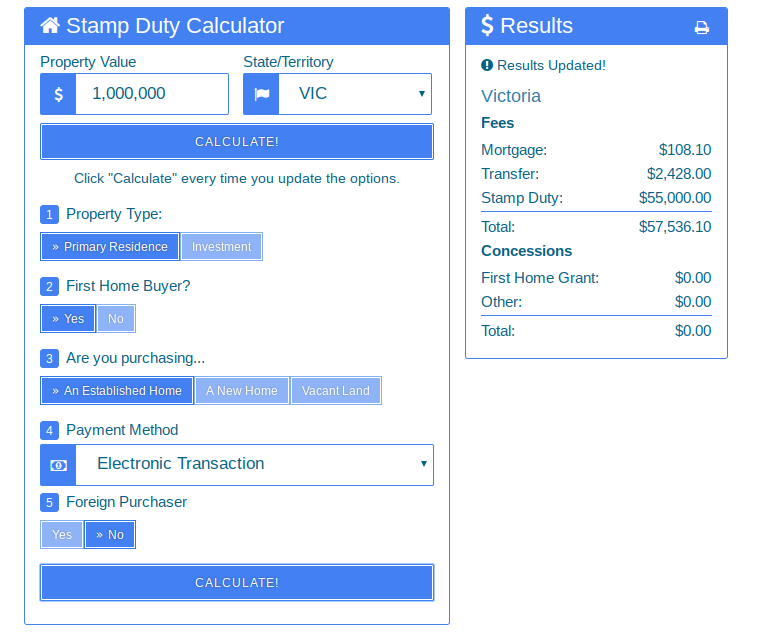 As of right now, a three-bedroom unit in Brunswick East costs $1.3m and has rental yield of 1.42% i.e. around $18.5k in rent per year. However, as of right now, Commonwealth Bank shares are paying gross dividend yield of 8.6%. This means that if you have $1.3m, then rather than buying the Brunswick East unit and living in it, you can simply take out a margin loan, invest $1.3m all in CBA, and then receive $110k in dividend income per year. After income tax and franking credits, this will be around $90k. After paying rent of $18.5k you have roughly $70k per year extra simply by using ETFs. Not only do you get $70k per year extra thanks to the extreme spread between rental and dividend yields, but the benefits for ETFs are magnified even further because of lower post-tax borrowing costs. Using one Brunswick East unit vs one high dividend paying stock (CBA) is an extreme example. Not all stocks are the same and not all residential real estate is the same. However, the general trend is indeed that rental yields in Australia are low and dividend yields on Australian stock are high. If you bring up a list of all properties on the BrickX fractional property platform and sort by rental yield, the highest yield property, a one-bedroom unit in Enmore NSW only delivers a rental yield of 2.76% with the average rental yield about 1.5%. However, a broad ASX200 ETF such as STW provides gross dividend yield of 5%.